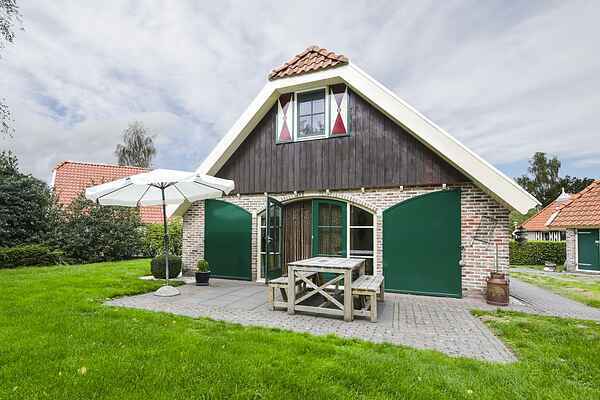 The farmhouses in this small-scale holiday park exude the authentic character of the area. There are different types and they have a tile or thatched roof. We offer the following types: a 4-person (NL-7955-10) and a 6-person type (NL-7955-11), as well as a comfort type for 4 persons (NL-7955-18) or 6 persons. (NL-7955-12). All holiday homes are equipped with most modern amenities like a dishwasher and free Wi-Fi. The comfort types also feature a wood fireplace or decorative fireplace. The accommodations enjoy a nice location in the park and are situated on spacious plots with garden furniture and storage for your bicycles. Thanks to their location and situation, each home offers a certain amount of privacy.